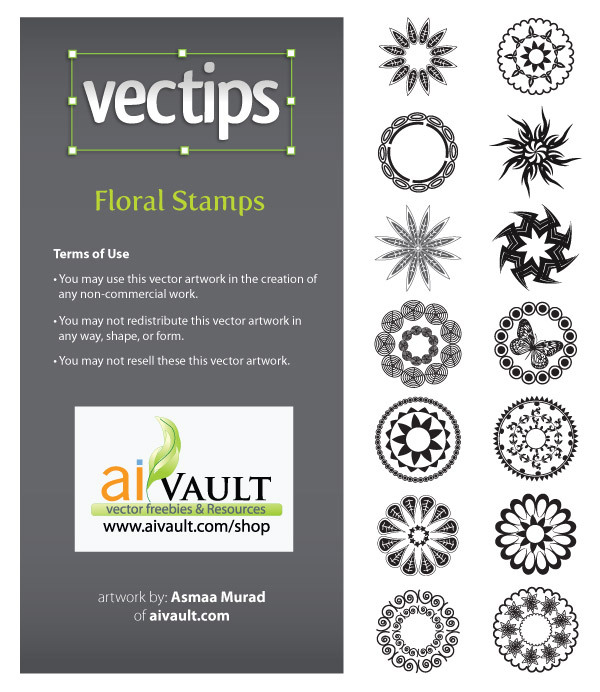 Asmaa Murad, from Aivault, has created an awesome set of floral stamps for Vectips! I quickly got lost in creating scatter brushes, patterns, and more with the 14 Floral Vector Stamps. Download the set and see what you can come up with! Post links in the comments to your creations! 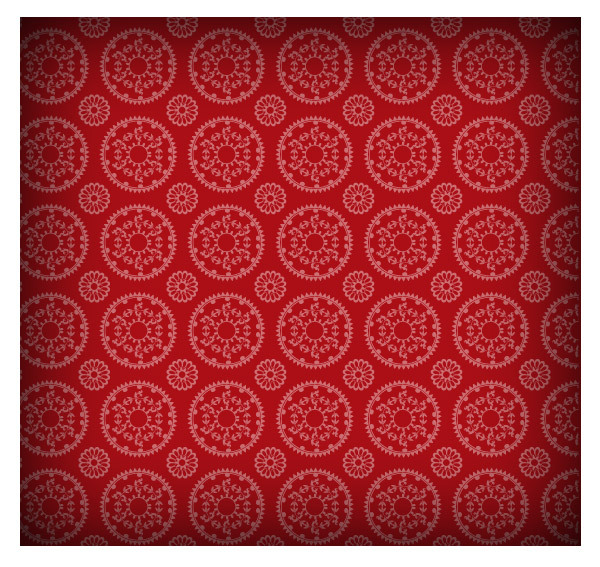 Below is a quick pattern I put together using a couple of the free Floral Vector Stamps. See what you can come up with and post links to your work! i just downloaded this Freebie but cant save it as i saved Brushes before ..
Could u help me how i can save it ! The example image that you created really shows off what you can do with these vectors. I think that they would also be great for created nice looking borders. But i am wondering how you use the vector and create such a nice and symmetrical pattern? mind if you can teach me…thanks~! Thanks Asmaa and Thanks Ryan! Super work! Cool! Something to fiddle around with during work. Thanks! Thanks — These will be a lot of fun to use for some cards I’m making. Thank you for these. I can’t wait to play with them. Hey Rype & Martin cool creations!